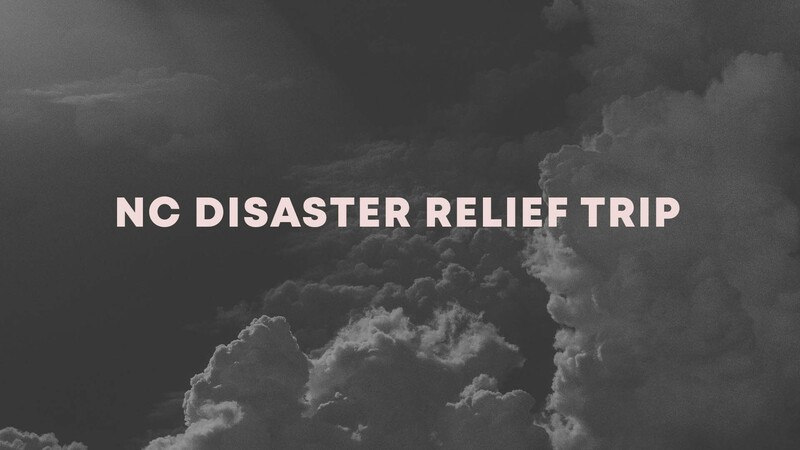 This weekend we will send our first team to Wilmington, North Carolina for Disaster Relief. We need a few more hands! If you are able to serve this Friday through Sunday, click here to pay the $10 registration. You must register online or show up for tomorrow night’s team information meeting (6:30pm in Room C121). At the meeting, we will share more details from Samaritan’s Purse. If you remember in 2015 here at Shandon, Samaritan’s Purse did an incredible job training and mobilizing volunteers. We will partner with Samaritan’s Purse for this trip. If you cannot go this weekend but want to know about future opportunities, please fill out this form! We are looking for volunteers who want to help our chainsaw team in South Carolina and to help Samaritan’s Purse in North Carolina. COLLEGE STUDENTS ONLY: Sign up here to serve on Fall Break!